For a long time I wanted to make my own design kimono or yukata the traditional way. In April I finally went onto a tiny journey to make this happen. Before departing I found some information about a newly to be opened place where you can cut your own stencil the traditional way. In the old time, main supplier of stencils for all over Japan came from south of Nagoya. Ise-Katagami (Ise 伊勢 = name of area, Katagami 型紙 = stencil) were famous all over Japan and according to history the main source of this expertise. 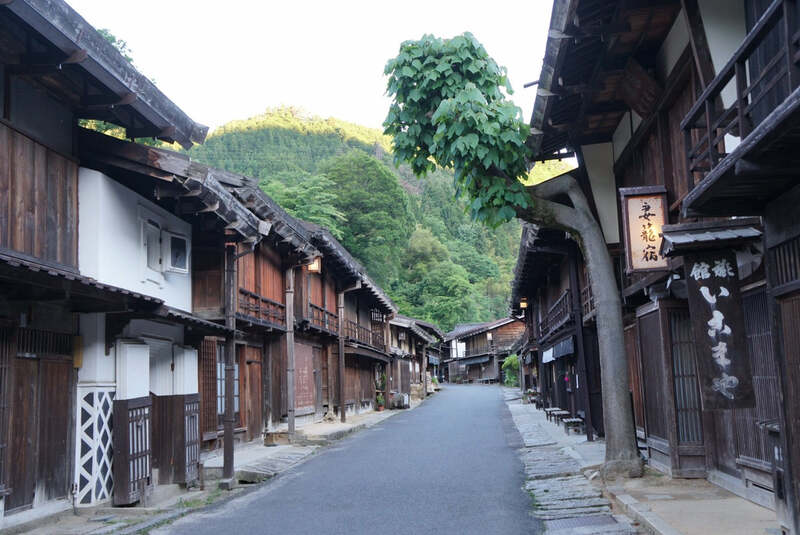 A young man who is partially a stencil cutter (but doesn’t want to dedicate his life to this profession itself) raised money via crowdfunding to rebuild an old house in Shiroko, Mie prefecture into a “stencil cutting guest house” called “Terako-ya”. People can apply to cut their own stencil here under supervision on the weekend and have it dyed traditionally (for a fee of course!). Since this was going to be a very special yukata and all handmade, I wanted it to be very personal. After a little thinking about the design I had the idea to incorporate the “Wappen” aka. coat of arms(?) of my hometown Lüneburg in Northern Germany. This Lion was the animal symbol of Europe’s oldest royal house, the “Welfen” and stands for the homeland Lüneburg. This yukata therefore is showing my German roots while actually being traditional Japanese clothing. When the time had come I packed a small backpack and headed out to Nagoya. Since I usually always passed through via train I took my time on this trip to head to Nagoya castle and walk a little in the city before changing to the local trains to Shiroko. In my case, the house wasn’t officially opened yet and still in testing phase, but I didn’t mind. After dinner we went to a public bath house because the shower wasn’t installed yet (the house still needed some work) and we went to sleep a little too late maybe. The old house was just lovely. And it was funny how you could hear the conversations of the floor below almost as loud as if they sat next to you. To make this experience proper traditional and worthwhile I did not bring any western clothes and wore casual kimono the entire 3 days. Once all (including me) 3 students gathered, we went to the local museum of stencil cutting to learn a little about the history and techniques before getting started. Also we were able to sneak a peak at a relative of the host who has been a stencil cutter all his life. Print out and arrange your design precisely along the marks and tape it together to create the 1 meter long picture. That was quite a struggle! If you screw up here, the design will look pretty weird when cutting, so I was super nervous. Finally all is taped onto the traditional stencil paper, which is a multi-layered and smoked paper which has been stored and dried for about 8 years. That is important as it needs to hold up perfectly when going into the dye workshop. With a pencil you proceed to draw fine lines in your design which will function as bridges when you cut away. If you don’t add bridges and cut long or big areas out, your design may break and wobble around as well as distort in the further processing, so this is quite important. With a cutter knife (Kogatana 小刀) start cutting out your design. Straight long lines may be cut with a ruler, but in general everything is cut free hand in a flowing motion. That gives the stencil and artwork life! The beauty of having a hand made item. You can even alter the design slightly while cutting to give it more taste. In my case there were a lot of reporters from local newspapers to have a look at the place and craft itself. So they also interviewed us participants and that took quite some time. We started around lunch time and when we finally took a break for dinner around 8pm (I did not move one inch away from the desk in these 8 hours!) my cutting process was still far from being done. After dinner we all went back to work and the other girls finished around midnight. My design however was too detailed and I ended up cutting until 2am in the morning. You can’t even imagine the pain in my hand and fingers! My fingers were literally numb from pressing the knife too hard and even in the next morning (after very few hours of sleep) I still hadn’t regained my feelings. Early in the morning when I came down to brush my teeth, everyone was already back into work mode. The next step is to add a thin white paper to the back of the stencil by some home-made starch glue. It looked a bit like installing wallpaper or flyers. The stencil then got hung to dry and we proceeded to get some breakfast and walk a little through town. Once the stencil paper combo dried we got back to our cutting tables and cut away the bridges we left, to reveal the complete design. Now is the time to still clean up the design and get everything right. After these few hours of additional cutting my job ended here. We took a picture together before getting back on the road towards home. On my way home the whole experience sank in and I suddenly felt so moved that I had to cry. All the preparation and work I poured into this. How scared I was to screw everything up with one wrong cut! How beautiful it was to experience this tradition first hand and create something with my own hands! This step requires a highly skilled professional and was done by a specialist in the area. On top of the stencil a fine mesh of sha (紗) silk is added with some special glue and the whole paper is treated to make it non-absorbant and stiff. The white paper is then removed and the cut out lines are visually “floating” on the mesh. Now the stencil is finished for traditional dyeing. In the next post I will explain about the dyeing process, so keep an eye out.